In 1938, Odd Fellow members still owning cemetery land parcels fell behind in property tax payments. The county foreclosed and became, whether through design or accident, the new owner of Comet Lodge Cemetery. For the next fifteen years, questions over what was purchased, restoration permissions, and street widening ordinances, drifted back and forth between the city treasurer, council, and local improvement societies. Eventually, official non-action moved the questions to the back burner and the county seemingly forgot that it ever owned a cemetery. Comet Lodge Cemetery became both a home for transients and a byword for ‘eyesore’ for several more decades. Almost 100 years after its official Odd Fellows designation, new attempts to build on cemetery grounds ignited a public fury. Preservation Seattle noted that in 1987, a local resident began clearing the site in what appeared to be a simple restoration effort. That illusion quickly vanished. Another report offers more details. Since that time, twenty restoration attempts for Comet Lodge have been made. All have failed. 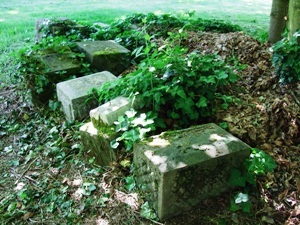 Even HistoryLink’s 2009 work only managed to relocate twelve headstones while the remaining markers are little more than broken bits and pieces. Out of the hundreds of missing headstones, only six remain in their original plots. 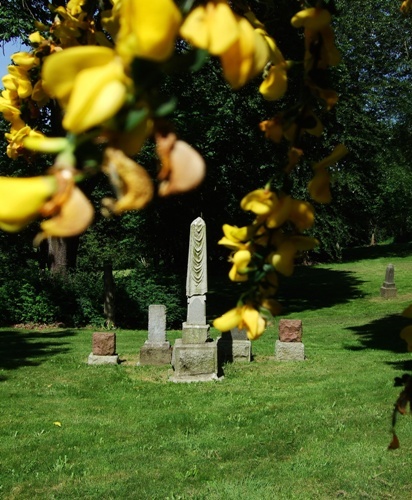 Today, King County and the Washington State Cemetery Association retain custodial responsibility of the site. Only a few aesthetically placed headstones remain to tell passers-by of its original purpose and Comet Lodge now seems more a park than a cemetery. However, for one resident living near the old Baby Land portion, the calm appearance will never deceive. The decades-old scandal, plus certain inexplicable activities within her house, have rendered the property un-saleable. 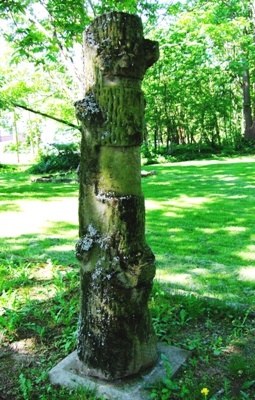 • Seattle Post Intelligencer: “A grave commentary on an old cemetery.” October 16, 1997. • Seattle Times: “New life for an old cemetery: Project organizers want to turn it into an horticultural park.” September 25, 1985. • Seattle Post-Intelligencer: “Cemetery slated to make a resurrection: Comet Lodge site will be turned into a memorial park.” June 17, 1999. Pretty spooky. I can understand why neighbors think their land is haunted. Some good links and story about this desecrated spot. Still sad that court actions are needed to restore this dog park to a final resting spot for our earliest settlers and Natives. Both the City and County continue to hold on to the lie that houses lie atop the section of the cemetery reserved for babies. This is a fact that cannot be disputed. Both the City and County continue to deny that the City bulldozed the stones from their original locations above the remains, on All Souls Day, November 2, 19878. The City records are clear that they bulled the stones as they were trenching the grounds putting in a sewer main through the property.